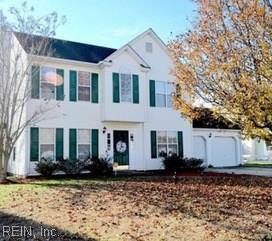 8 Old Pond Ct, Hampton, VA 23666 (#10241552) :: Abbitt Realty Co. This is it! Lovely home located in Samatha Lakes community. This home has it all at a steal. Priced to sell and won't last long! Spacious floor plan with a beautiful eat in kitchen just great for gatherings that opens up to cozy den. Beautiful master suite with spacious walk in closet and so much more to offer. Come see why this should be your new home. Schedule your showing today.